We were in New York the week before we came to Oaxaca and were shocked by the pumped up commercial energy around Halloween. We have seen the slow growth of Halloween in Sydney but were unprepared for the costume party shops, the decoration of houses and shops, the zombies and death images everywhere. 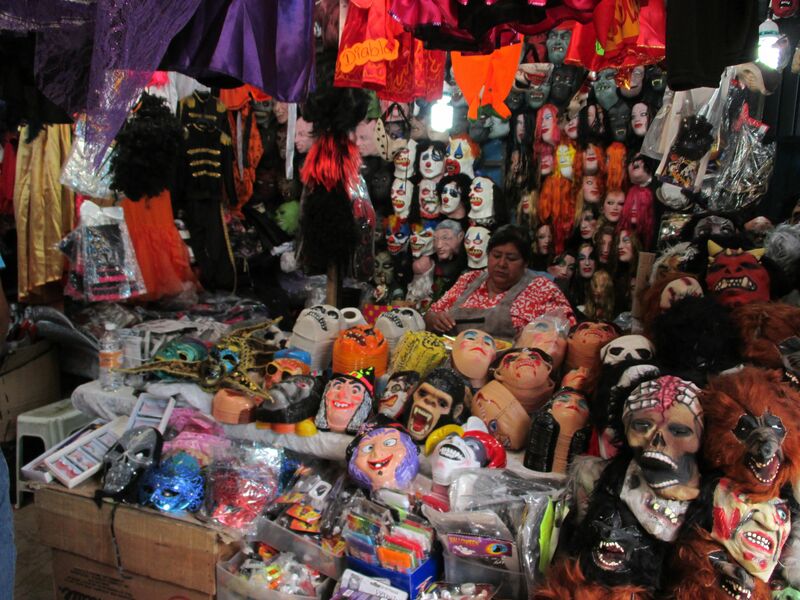 In Oaxaca we saw market stalls outside cemeteries selling plastic pumpkins, witch masks and satanic decoration. Roaming the streets and cemeteries we met devils, glowing vampires, mummies, zombies. This was thematically linked to Day of the Dead but part of the great costume party that is Halloween. Some see this trend as being a threat to the authenticity of Day of The Dead rituals and the role of these celebrations for nationalistic identity politics. For others it is the logical outcome of the commercialisation and the globalization of culture, particularly among young people. 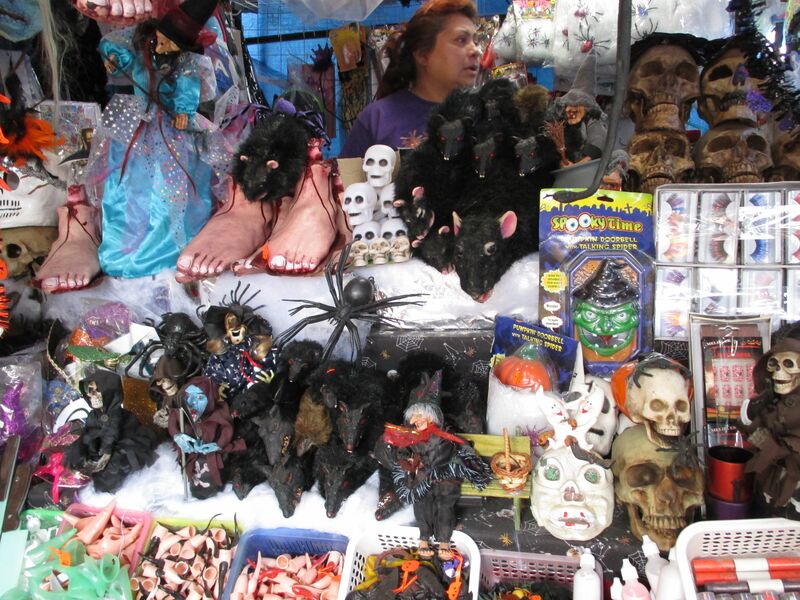 Globalization has meant both the promotion of a distinct Mexican national identity through Day of the Dead activities and the infiltration of profit based Halloween from the United States. The debate about Halloween has been going on since before the 1980s and will be ongoing. Meanwhile we read that not only has American Halloween infiltrated south of the border, Day of the Dead celebrations and rituals have travelled north with Mexican migration.